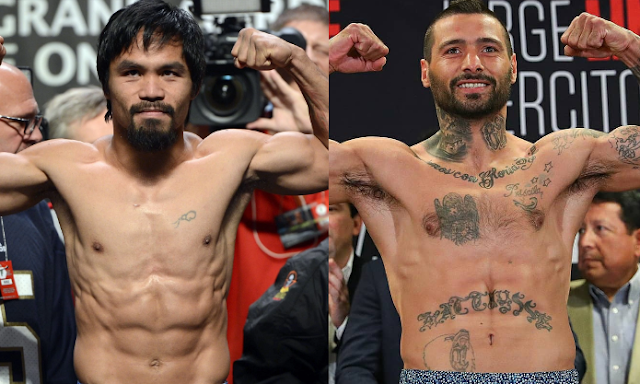 Manny Pacquiao and Matthysse's camp Golden Boy Promotions both confirmed the fight that will be held in Kuala Lumpur, Malaysia on July 15th for the World Boxing Association World Welterweight Title. Dela Hoya and Pacquiao confirms the fight on their twitter. Power puncher Lucas Martin Matthysse (39W-4L, 36KO's) is coming off an 8th round TKO win over the Thai fighter Tewa Kiram to win the vacant World Boxing Association World Welterweight Title last January while Pacman was coming off a unanimous decision defeat against Jeff Horn last year of July. For sure, this fight will be exciting because Matthysse is a brawler while Pacquiao known as a complete fighter with power and speed, that makes the bout very interesting.